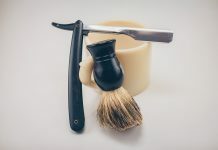 One of the best ways wet shavers can protect themselves from cuts and razor burn is to invest in a high-quality shave gel. Thanks to the Internet, it’s extremely easy to purchase any brand of shave gel you could possibly imagine for relatively decent prices. 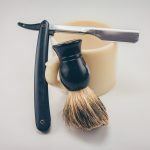 Whether you’re looking for a cheap gel that will get the job done or a more luxurious shaving cream, this list has got you covered. 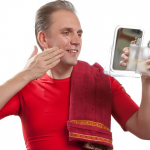 Below, we’ll go over a few of the greatest shave gels for men according to online reviewers. 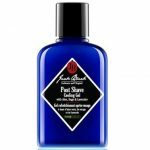 By the end of this article, you should discover your own “best shave gel for men.” The products listed below go from the most affordable to the most expensive. 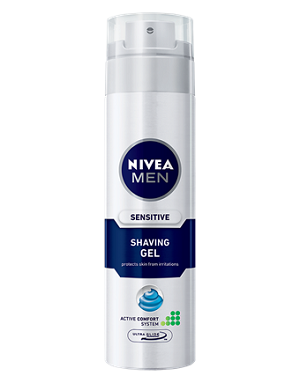 The German company NIVEA is well respected in the male shaving community. Its pristine reputation owes it to high-quality products and extremely affordable prices. NIVEA For Men Shaving Gel is just one great product in NIVEA’s catalog. Indeed, this NIVEA gel is probably the best shaving gel for men on a budget. You can purchase a three-pack of seven-ounce bottles for only $9 (or $3 for each bottle!). A few key ingredients in this shaving gel include palmitic acid, witch hazel, and chamomile extract. There’s also extra vitamin E and aloe to help soothe razor burns. Out of over 650 reviews online, the NIVEA shaving gel has received an almost perfect score on Amazon. Such a spotlight definitely give this gel a go if you’re on a tight budget. 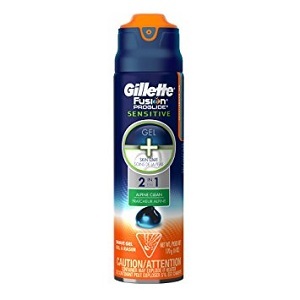 Gillette Fusion ProGlide Sensitive 2 in 1 Shave Gel is the best shave gel for men who want a higher quality shave gel for a decent price. At only $5 for a six-ounce bottle, this product is a fair deal. Every one of these shave gels comes in a rust-free plastic container with a neat “gel gauge” on the side. This will let you know when you’re running out of gel. The main scent Gillette offers is called “alpine clean.” Of course, since this product is a Gillette name, expect great quality. A few men complain online that you don’t get a great amount of gel in these containers. Nonetheless, most reviewers have only positive things to say about this product. As of today, Gillette’s shave gel has over 320 reviews online and a solid 4.5-star rating on Amazon. Another product some reviewers consider the best shave gel for men is the Elegance Plus Shaving Gel. This clear gel product comes in a convenient and stylish black container with a pump top. Manufacturers say their shaving gel is so good that it will moisturize your skin without the need for a hot towel. Believe it or not, some professional barbers recommend using this gel to their clients. 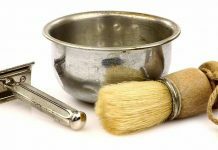 The most popular scent is called “Earth.” However, you could find other scents labeled “Jupiter” and “Venus” online. One 16.9-ounce bottle of Elegance Plus Shaving Gel will cost you $10. You could also buy a three-pack with all fragrances for around $23. All Elegance Plus gels are highly reviewed online and have been designated official “Amazon Choice” products. The Natural Shaving Cream by Pacific Shaving Company is the best shave gel for men who are in the market for a travel-friendly, all-natural product. This shaving gel is packaged in a four-ounce container that meets the requirements for the TSA. This way, you won’t have to worry if you’re a frequent flyer. 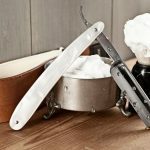 Pacific Shaving Company prides itself on the fact that it doesn’t test any of its products on animals and that it uses mostly organic ingredients. A few of the ingredients in this gel include organic aloe leaf, organic white tea, organic sunflower seed oil, and organic shea butter. This shaving cream is certified Vegan and has no artificial fragrances. Men with sensitive skin will really enjoy the soothing properties of this gel. 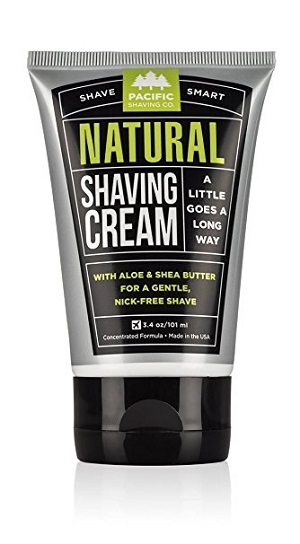 For the four-ounce Natural Shaving Cream, you’ll have to pay $8. Anyone who wants to add some pep to their shaving routine could order the three-ounce “caffeinated” gel by Pacific Shaving Company for $5. There’s also a three-pack sampler set including the caffeinated gel, the non-caffeinated gel, and 40 single-use “minis” shaving creams for $27. Cremo Shaving Company produces one of the finest “old school” shaving gels on the market. 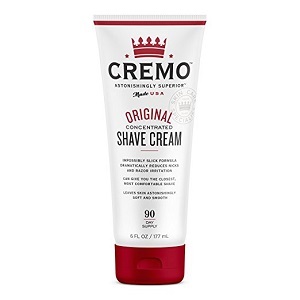 Cremo Original Shave Cream is actually one of the hottest products of its kind on Amazon. There are well over 2,000 reviews on this USA-made shaving cream, most of which are five-star ratings. Manufacturers say you only need an almond-sized amount of their gel to get an incredibly smooth shave no matter what razor you use. Olive leaf extract, lemon fruit extract, and papaya fruit extract are just a few of the ingredients that give this gel its distinctive smell. 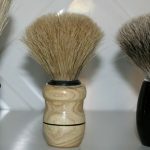 Besides beard shaving, Cremo is highly regarded by people who shave their heads on a regular basis. You can order a four-ounce tube for around $8 online. Cremo also offers special fragrances like sandalwood and coconut mango for around the same price. If you’re just basing it on popularity, Cremo is hands down the best shave gel for men. Anyone looking for a higher end (and higher priced) shaving gel should consider Billy Jealously Hydroplane Super Slick Shave Cream. 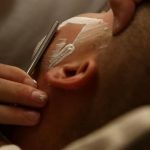 This Dallas-based company brags that its product will help any wet shaver effortlessly glide his blade across his face for a smooth shave. Some interesting ingredients in this gel’s formula include orange peel oil, grapefruit peel oil, tangerine peel oil, and peppermint oil. Billy Jealously is a somewhat new company (it was founded only in 2004). Nonetheless, it’s swiftly building up a reputation on grooming forums and social media. There are over 300 reviews of this hydroplane shaving cream online. Most of the reviews are four or five stars. The cost of this product is quite steep. One eight-ounce bottle costs around $20. Hopefully, you’ve found what you’d consider the best shave gel for men on this list. There’s certainly a wide range of prices and companies to choose from above. Shaving cream is extremely important for getting the best shave possible, so don’t rush your decision. Take your time. Examine all the creams listed above and go with the one that makes sense to you. All of the above gels can be found on sites like Amazon.